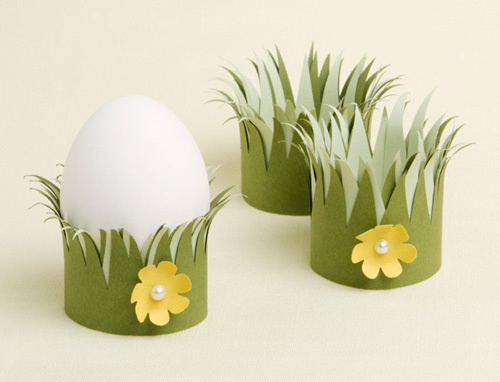 Oh, this Easter egg cup craft from Paper Source is just darling. I love the grassy fringe and sweet little flower accents. Check out the tutorial over at the Paper Source blog, and download a template so you can easily cut out the blades of grass. I think that these would make really cute accents for votive candle holders, too! very creative, I love it, love your blog site as well. Thank you for sharing!